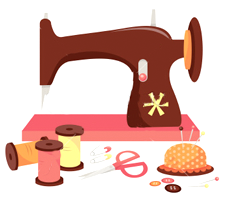 "Expert alterations done by a seamstress with almost 30 years of experience"
Professionally clean, dye and repair leather, suede & fur garments, Ugg boots and hats. Temperature controlled storage available. 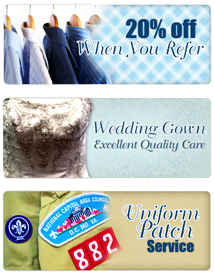 We provide quality care on wedding gowns. Alterations and press before the wedding and thorough cleaning after the wedding. All visible stains are removed safely by hands then anti-sugar stain treatment is applied for invisible stains. We provide acid-free wedding gown box to store and preserve. Because we care for your valuable garments, we provide garment care program for winter garments and summer garments. They are thoroughly cleaned to be safely stored until next season. Temperature controlled storage available. Keep the tradition of dress in Hanbok for weddings, and other special occasions. Perfect gift for parents on 70th birthday.